Tri Ply construction, made from high quality stainless steel. Can be used without the steamer as a normal wok. 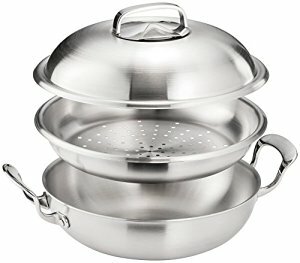 A great multi-functional piece of cookware.